Engagement shoots can be overwhelming when deciding what to wear. Luckily, my photographer gave me some great tips and advice so I thought I’d share them with you. A lot of the decisions will be based on personal preference. I wanted my engagement shoot to be on the dressier side and so I chose to wear dresses for all of my pictures. I had 4 outfit changes throughout. I was fortunate that my husband is very accommodating when it comes to these photo shoots and willing to wear whatever I recommend. 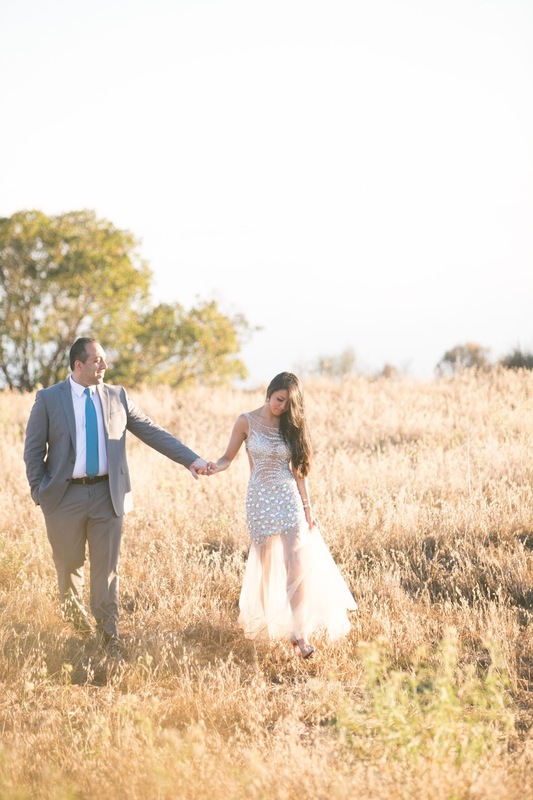 The most important consideration for an engagement shoot to have outfits that “match." We went shopping and picked out colors and clothes with the proper tones to match my outfits for the engagement shoot. Pick fitted items at a minimum; if possible, have the items tailored so they fit well. Loose baggy clothing will look sloppy, especially on camera. Make sure your outfit and your fiancé outfits don’t clash or conversely, are not so similar in color that they blend into each other making one big blob. For the Malibu Hills shoot I had two outfits, the first more casual and the second more formal. 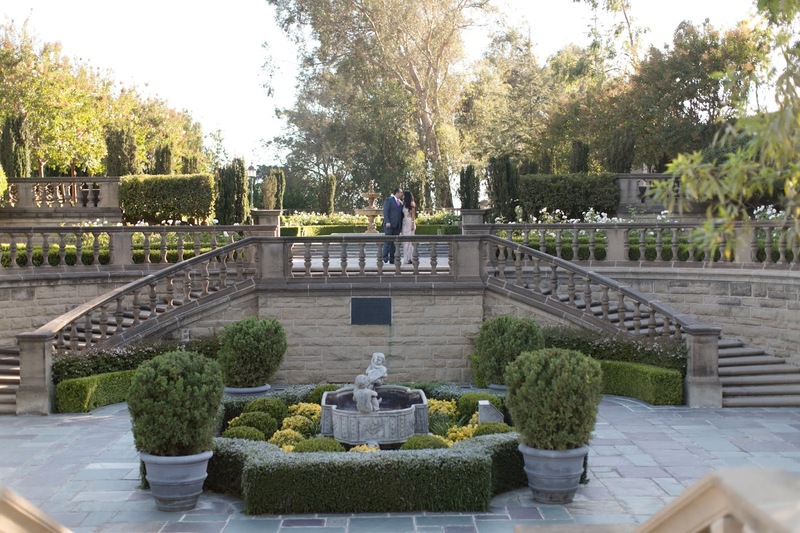 Graystone Mansion in Beverly Hills is such a gorgeous place. I had originally wanted my wedding here, but they had too many restrictions (including that you have to be out by 10PM -- what kind of celebration would that be?!) so ultimately I decided to have my wedding elsewhere (more on that in a future post). Props: we didn’t really use any. I know they’re really popular right now, but personally I felt they are a trendy thing to have and most likely a passing fad. I would recommend trying to create very timeless, classic photos that you could look back on in 10-50 years as opposed to including a bunch of props that are popular today which you may want to photoshop out in the future. Let me know if you would like more wedding related posts. I chose not to get a wedding planner and did everything on my own because I wanted the details to be right. 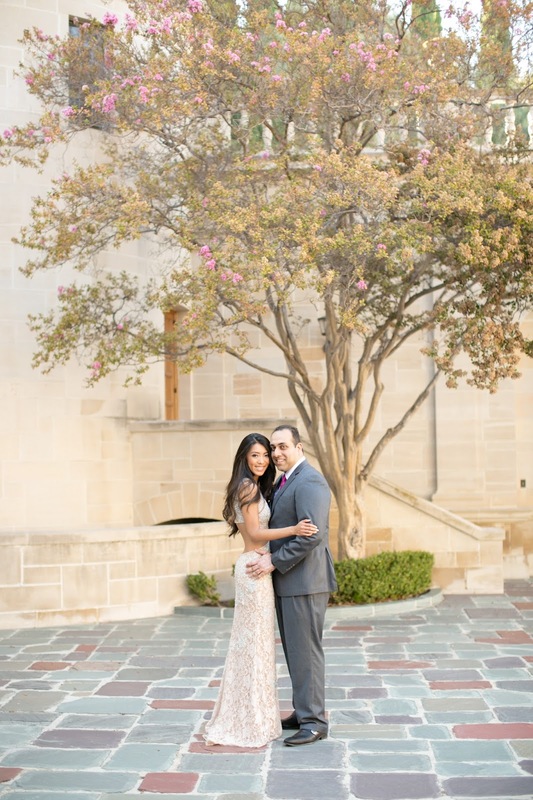 If you would like to hear more about my wedding experience or if you have any questions about engagement outfits, please let me know in the comments. Amazing pictures! You two look absolutely gorgeous!